Now that is an attractive beer. Or woman. Or something. I guess this supports that whole beer-art-is-masculine theory. 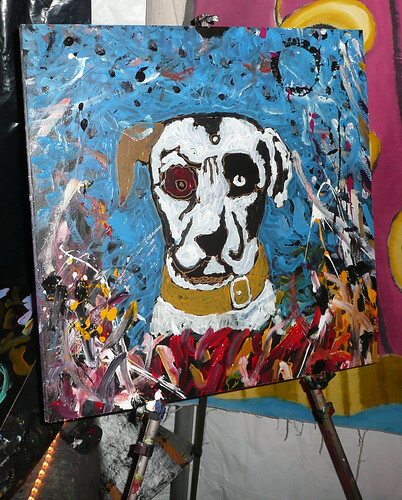 Barbosa paints quickly to music, crossing that line between visual and performance art that I find particularly intriguing. MSN did a nice story on some of the more impressive brewery buildings. And so is the Lost Oregon Blog. 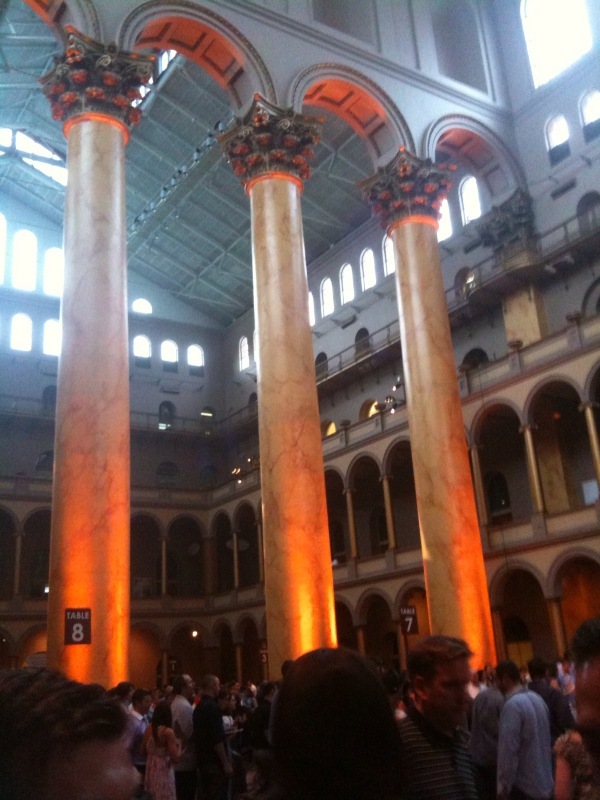 Speaking of great buildings, the SAVOR beer and food festival was held this past weekend in the National Building Museum, which is one of the more impressive structures I've ever had a beer in. On the other side of those five-story columns were projected in light the sponsoring breweries' logos. Great food, great beer, great event with lots of brewers and craft beer lovers. It's definitely worth getting to if you ever get a chance.